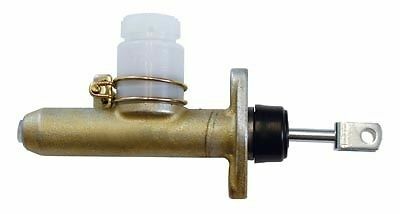 Clutch Master Cylinder MGB 1963-1980. These are nice units and have a cast iron bore for long life. The reservoir is sized to clear with the 1968-1974 unlike the all metal ones we sell which can require the brake master cap to be removed to remove the clutch master cap. We use the same supplier for these as Moss and at a far better price! This master cylinder works OK. The price is right. Only problem in my MGB was clearance of the cap. The original cap was much smaller. It's tight and you have to remove the brake master cylinder cap to get the clutch master cylinder cap off and on.